According to Fox, Lewis will be seen on various FS1 studio shows such as Undisputed, The Herd with Colin Cowherd, Speak for Yourself as well as the upcoming morning show co-hosted by Cris Carter and Nick Wright that will premiere in September. 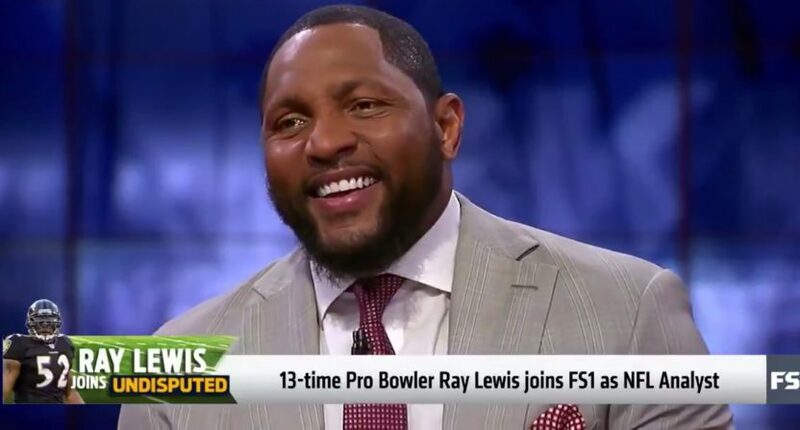 Lewis spent his entire NFL playing career with the Ravens and upon retirement went to ESPN where he was an analyst on Sunday and Monday NFL Countdown as well as on the network’s NFL Draft coverage. He lasted until 2016, but not after he had a few interesting moments like checking his phone on the air and skipping the 2015 Draft to spend time in Baltimore following riots there. But overall, he wasn’t the caliber of analyst that ESPN had been hoping for and thus, the network let him go when his contract was up. Now he joins Fox where he’ll have plenty of platforms to spout his opinions. In addition to being on TV, Lewis will make contributions to Fox’s digital platforms. Fox certainly hopes that he’ll bring the passion he had in his playing career to television.